Home » Our Doctors » Luke Werkhoven, O.D. Dr. Luke has been part of the Eye & Vision Care team since 2002. During graduate school at UC Berkeley he developed an interest in Specialty Contact Lenses and Ocular Surface Disease at several hospital based internships. He is an invited speaker on these and other topics. In his free time he enjoys spending time with his wife, Dr. Corby, and their three children. 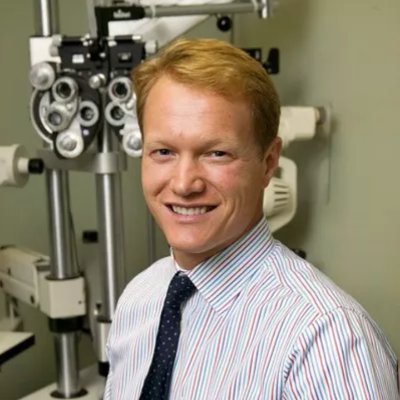 He has been awarded the Young Optometrist of the Year in 2005 and has served as President to the Tri-County Optometric Society. Dr. Luke is also a Diplomate with the American Board of Optometry.